TROJANS Swimming Club enjoyed a sensational week at the Irish Open Swimming Championships, setting 17 new club records and bringing home medals for both Grace Hodgins and Ethan Hansen. Trojan Swimming Club’s Grace Hodgins with her silver medal. Hodgins, aged just 14, made the early waves with a blistering swim of 9.19.74 in the 800m freestyle final to finish in second place. 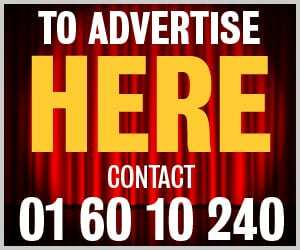 In an open field on Thursday evening, she was only outdone by 16-year-old Edel Daly, suggesting there is plenty more to come from the youngster. On day one of the gala, the club’s nine entrants had a 100% strike rate in terms of season’s bests while Finn O’Neill (400m freestyle), Ethan Murtagh (50m freestyle), Ethan Hansen and John Mulhall (both 100m breaststroke) all breaking club records. Four Trojan swimmers made it through to day two’s finals with the undoubted highlight being Hodgins breakout performance while there were two further club records with Aisling Rowlands getting in on the in act in the 50m freestyle. She went on to go sub-60 seconds in the 100m freestyle for the first time. Hodgins also beat her personal best in the 200m fly for her another new club mark, a feat matched by Hansen in the 400m individual medley on day three. O’Neill set the tone on the fourth evening of finals when he swam the 1,500m in 17.26.47 to end up in sixth place, another superb performance for a 14-year-old in the open section of the competition. Rowlands converted her 100m backstroke time into a season’s best and another club best. And Hansen concluded the weekend in style when he took bronze in the 200m backstroke. 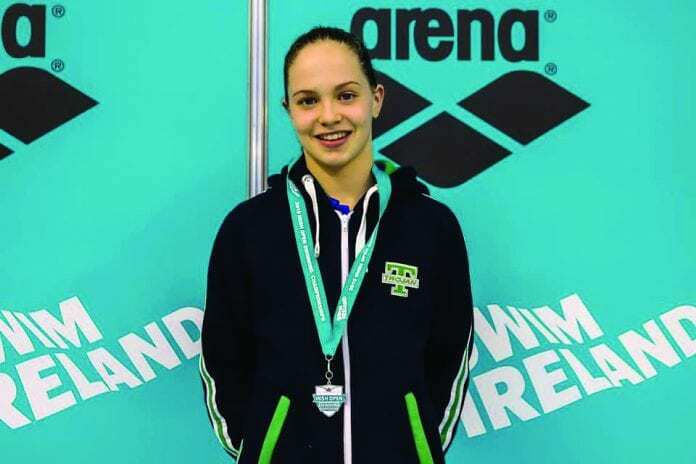 UCD Swimming Club also had a weekend to remember, reaching 23 finals, winning six medals with Erin Riordan winning gold in the 100m freestyle in a time of 57.40 seconds. She also got a silver in the 50m as UCD accumulated three second place finishes in the finals and two bronzes, making for a memorable weekend. Breaststroke ace Darragh Greene collected the ‘Swimmer of the Meet’ Trophy as the Irish Open Swimming Championships came to a close on Sunday evening. Greene’s 200m Breaststroke swim on Thursday was the closest time to a World Record at the event in 2:10.05. The National Centre Dublin swimmer had set Irish and Championship Records in the swim as well as going under the consideration time for World Championships.